Ravensburger has been in business for over 100 years, making all sorts of products for children and adults alike. 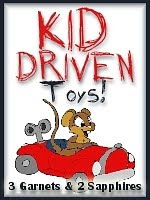 We were sent Katie Camper’s Holiday Friends , an 11 piece set of toys for kids 1 ½ and up. 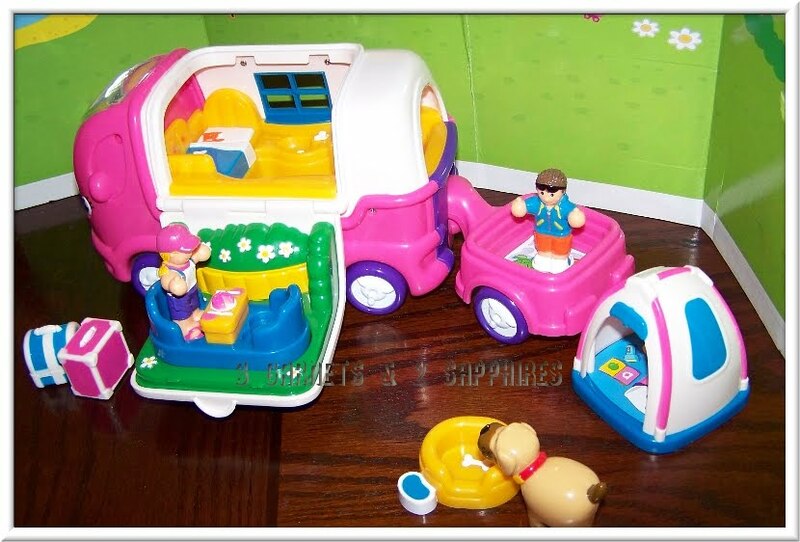 This unique, battery-free toy includes a friction-powered camper, similar to the WOW Harry Copter's Animal Rescue previously reviewed for our "Kid Driven Toys" series. Also included are two friends, a boy, a girl, and their dog. 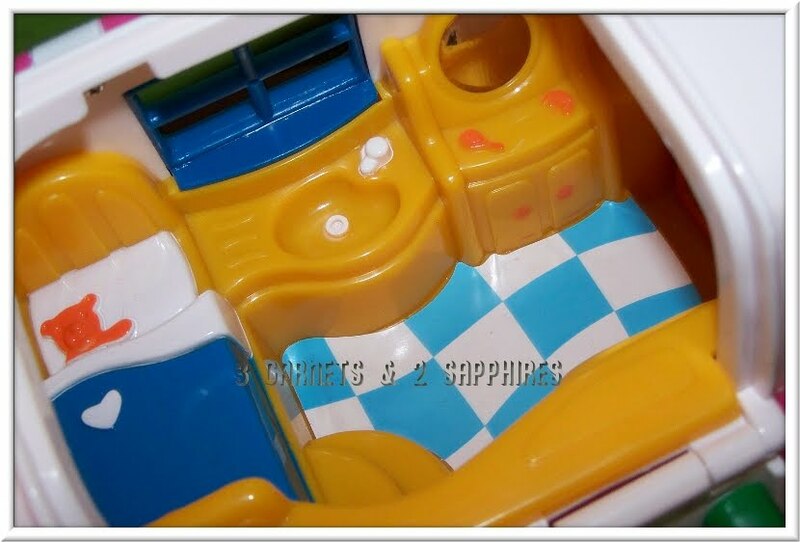 The camper is packed with lots of features and opens to reveal a cozy home with a bed, mirror, and spot to eat. Unhook the magnetic trailer and lift of the removable tent to open the lift gate, which has a barbecue grill. It also has a picnic table, dog food/water bowl, and more. 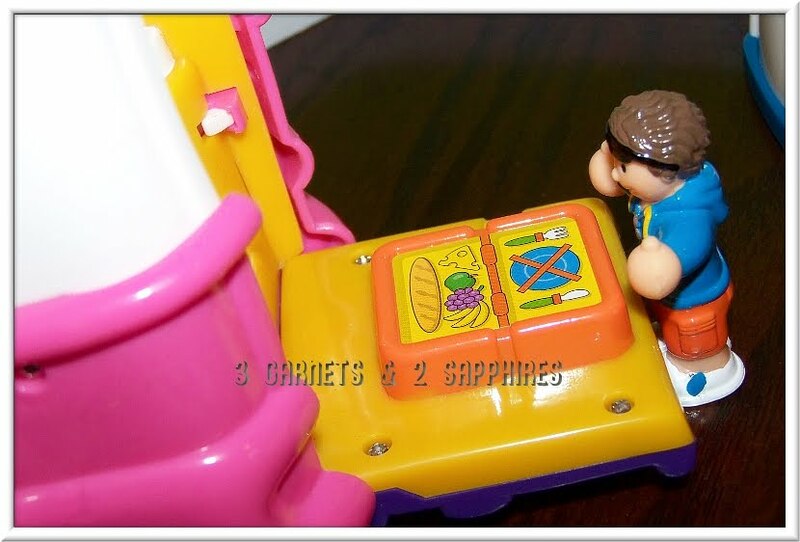 You can sort the luggage in the overhead compartment, which is also a simple shape sorter. This set has so many additions, interesting pieces, and parts that it’s fun to play with for all the children I watch; from age 1 ½ to 9. I find this toy to be really amazing. It is very durable and well-made and will last for a long, long time. I love that it is battery-free, but I have to admit that the friction-powered vehicle is a little loud with a house full of kids. Nonetheless, they love it and I think it’s a great toy as well. 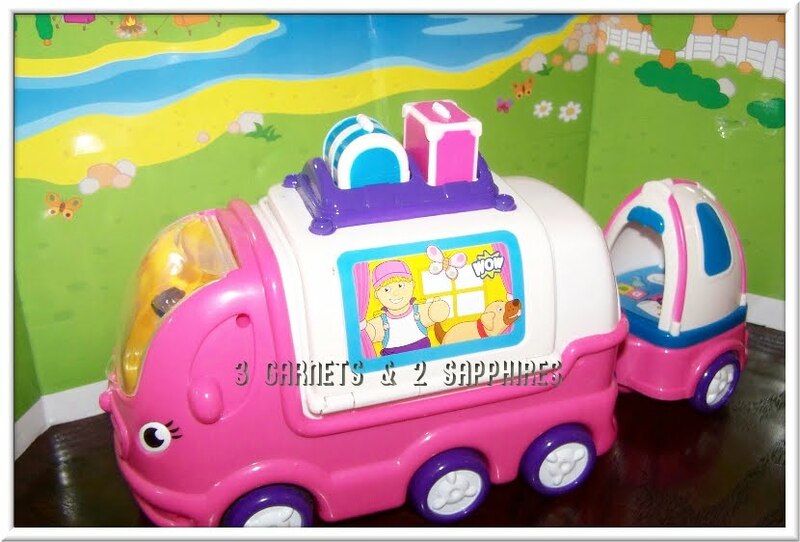 Everything fits together nicely and is easily transportable for them to move around the house with it. The play set may be 11 pieces, but it is all self-contained. You can learn more about the Hyatt Resorts Toy Box program and the other Ravensburger toys that have been selected by visiting Hyatt.com. 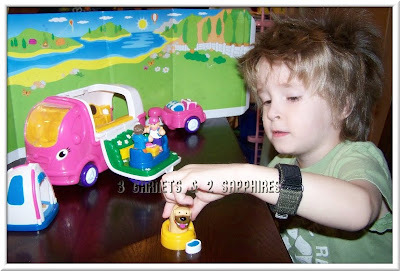 You can learn more about Ravensburger on their website, www.Ravensburger.com or shop for toys at the Ravensburger Shop. Thank you to Ravensburger for providing us with a complimentary product sample to base this review upon and for providing an additional product for our contest prize. One lucky reader will receive a Katie Camper's Holiday Friends Play Set (ARV $49.99). Browse the selection of WOW friction-based toys offered by Ravensburger. Then leave a comment telling me the name of the one toy you think would be the most fun for a preschooler (aside from the toy reviewed in this article). You MUST do this to be eligible to win this contest. 3) For 1 extra entry each, if you are a Friend of mine on Facebook and/or if you have "liked" the 3 Garnets & 2 Sapphires Facebook page, then leave a separate comment here telling me so with the link to your Facebook profile. 4) For 1 extra entry, "Like" Ravensburger on Facebook. Then leave a separate comment with the link to your Facebook profile. 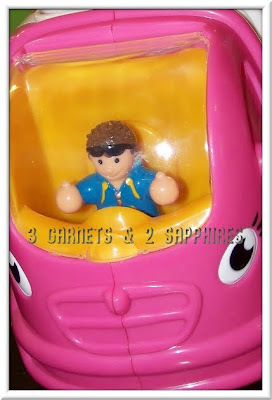 8) Subscribe to A Blog of Goodies' feed (the sister site to 3 Garnets & 2 Sapphires). Then leave a separate comment telling me you did so. This contest will be closed on Monday, March 21st, 2011 at 11:59pm EST. A random number drawing will be held shortly after. The winner will be announced here and will be contact via email or through their blog. If the winner does not respond within 48 hours, a new number will be drawn.